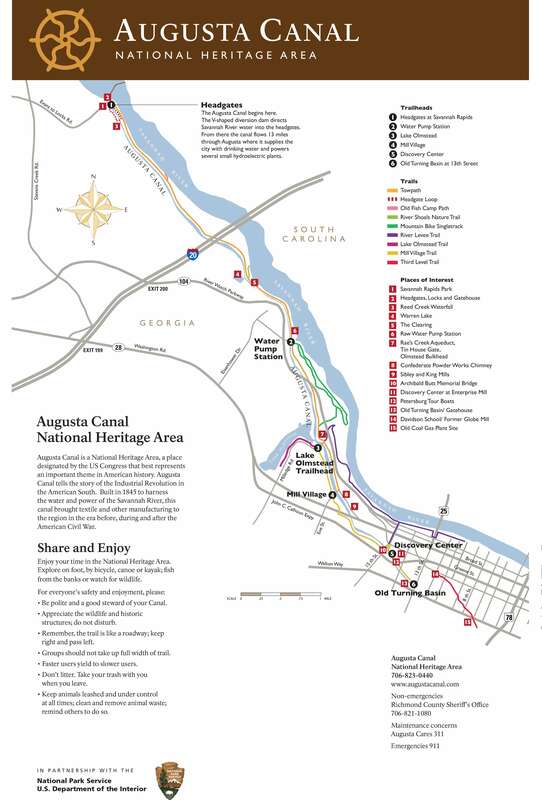 Built in 1845 to harness the Savannah River for manufacturing power, the historic Augusta Canal Heritage Area features several 19th century historic buildings but many areas along its banks have returned to a more natural state. 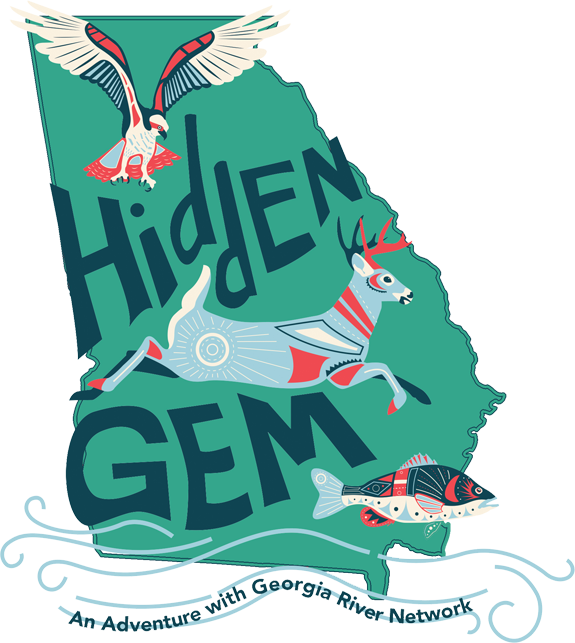 The Augusta Canal’s first level is a 7.5-mile corridor that follows the best-preserved industrial canal of its kind remaining in the South. 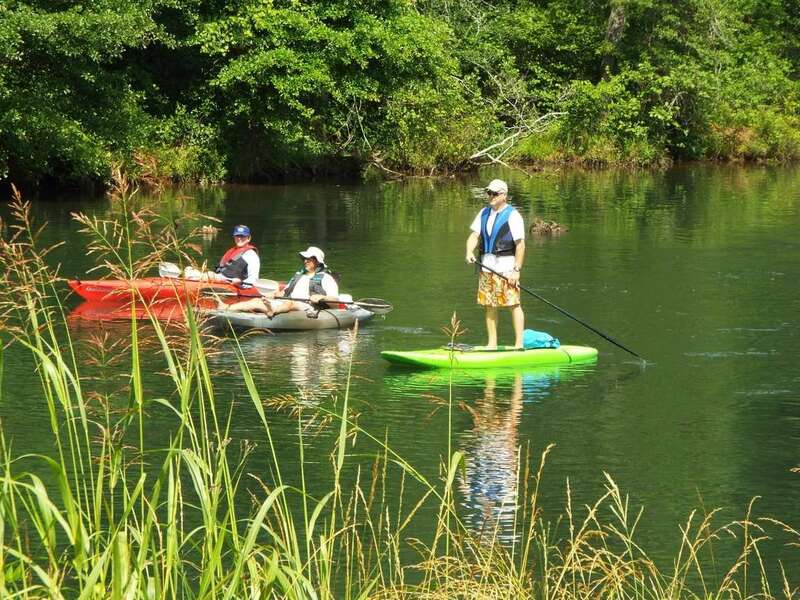 The Canal’s first level is an easy beginner paddle on moving flatwater with some current. This level ends near downtown Augusta. Use caution at mill intakes, gates and when approaching the Lake Olmstead bulkhead gate at mile 5. The canal’s second and third levels pass through downtown Augusta through a series of gates and bulkheads and are not easily accessed. These sections are dangerous for paddlers due to irregular flows and the many man-made obstacles.